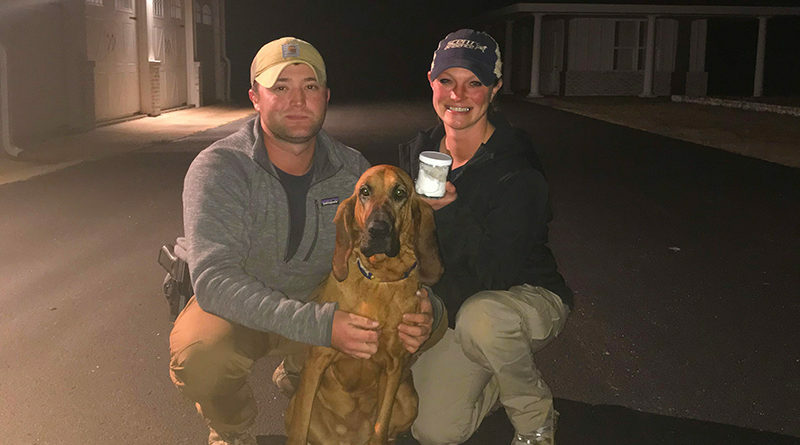 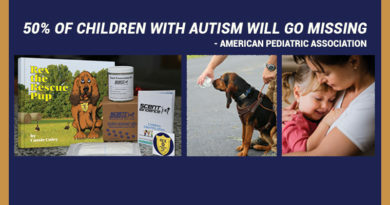 A missing 10 year-old girl was found and returned home safely in Bolivar, TN using a trained scent discriminate bloodhound, trained SEK9 handler team and the girl’s scent. 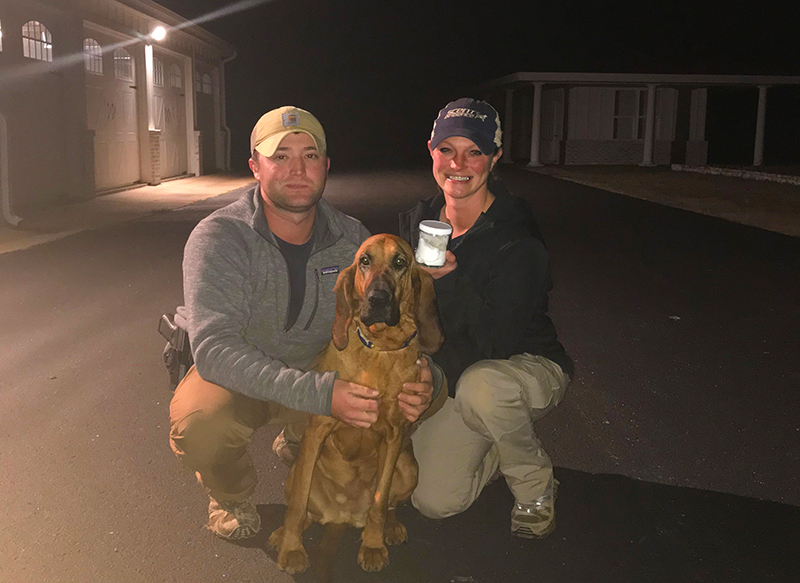 Scent Evidence K9 Training Manager, Trey Cash and K9 Trainer, Ashley Baker, deployed with K9 Chloe from the new Scent Evidence K9 Training Facility in Bolivar after receiving the call from area law enforcement. 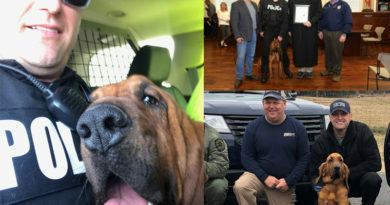 The girl’s scent was collected by Cash using the Scent Evidence K9 On-Scene Collection Kit, a new tool for collecting and preserving a person’s odor to avoid contamination, developed by the company to aid those K9 Units responding to missing persons cases. 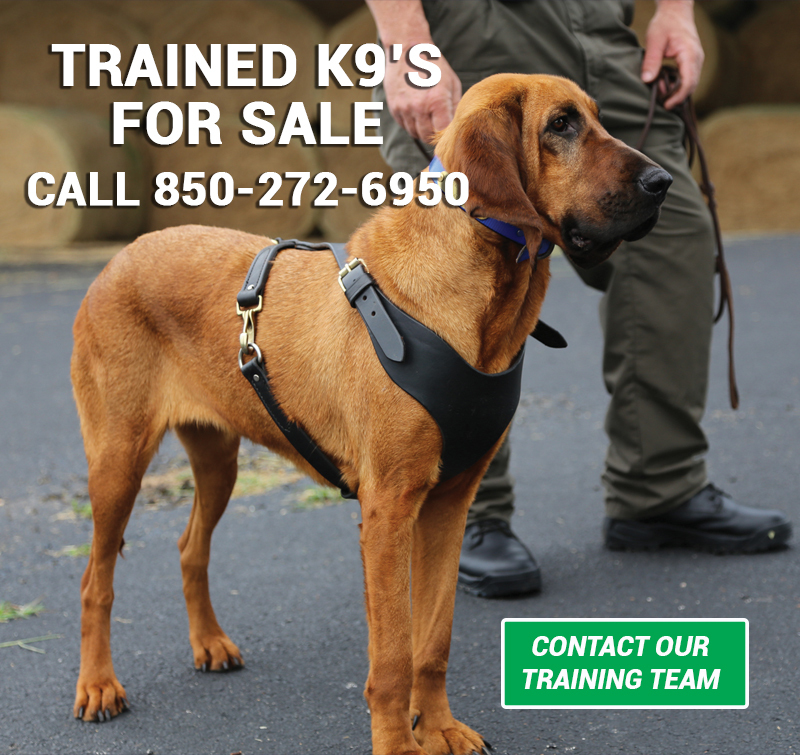 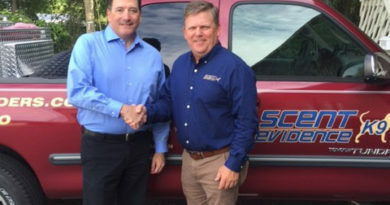 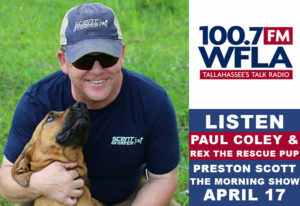 The new 1000-acre facility launched in October, 2017 and is one of the largest training facilities for scent discriminate and scent detection K9’s. 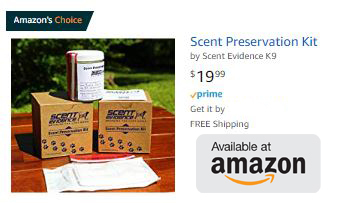 SEK9 Scent Preservation Kits have also been used to successfully locate those with Alzheimer’s Disease and Autism who have wandered.